Help Shape the Creative Community of Austin! Great leaders make great organizations. You can help determine the future of AIGA Austin by nominating its leaders. Who is already leading the Austin design community in a positive direction? Could it be you? Now is the time to get those great leaders in an organization where they can have a greater impact. The Chapter currently have the following positions open for nominations: President, Vice President, Secretary, Programming Director, Communications Director, Volunteer Director, Technology Director, and Board Explorer. Nominations are open till May 12th. Please read below for further details on the open positions and the nomination process. Do you know an individual that could help enhance the board’s leadership potential? 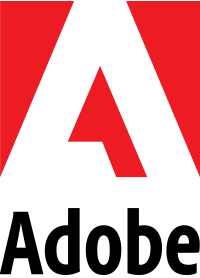 Or do you yourself feel as if you could help improve AIGA Austin? Self or peer nominations are welcome for all living within Austin/Central Texas Region. Nominees need not be an AIGA member at time of nomination but would be required to hold the minimum membership status before becoming a board member. 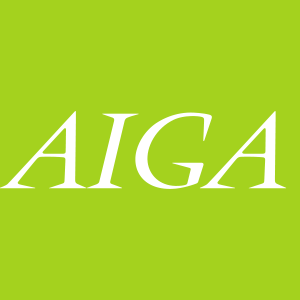 Nominees must be an AIGA member in good standing at the Contributor level or higher, or must join the organization prior to becoming a board member. Individuals serve a two year term as a director or one year as a chair, June-May. Each position requires a different amount of commitment, on average we estimate roughly 10-15 hours a month. Nominations will close 6:00 PM May 12th. At that time the board will review all submitted nominations for open positions. The sitting board will vote on submitted nominees to serve the next term at the next full board meeting. The Chapter President is the glue that holds the organization together. It isn’t uncommon for the board president to wear many hats, including oversight of organizational finances, vision, mission, staffing and long-term goal setting. The President is responsible for communicating the National agenda to the local Chapter; and working with the board to reinterpret the National agenda to work for what is best for the local membership. The President shares responsibility with the Vice President for running Board meetings, setting an agenda and keeping the Board focused on its mission and objectives. The President works closely with Board members, and initiates and/or decides upon significant proposals that affect the entire Chapter. The President is responsible for maintaining and communicating the Chapter charter and Chapter bylaws. The Vice President works directly with the President in maintaining the vision and direction of the Board of Directors. The Vice President assists the President in running Board meetings and preparing an agenda. The Vice President works closely with the Secretary, Programming Director to ensure programming goals are aligned to the Chapters mission and vision and that programming meets the needs of our membership and community. The Secretary works with the President, Vice President, Board roles and Chapter Manager to review event proposals and budgets, make decisions regarding Chapter policy, and provide guidance for the Board of Directors and the Chapter as a whole. The Secretary is responsible for keeping all Board members up-to-date on pertinent dates and details. The Programming Director works with Board to prepare an annual programming schedule that reflects activities consistent with AIGA’s national and local mission while meeting the needs of AIGA members. They direct a committee that helps identify potential programs/speakers/issues of interest and is responsible for selecting an Event Chair from amongst the members of this committee. Each member of the committee is expected to assist in the planning of multiple events. The Director oversees all Chapter programming. A vital role is to identify, appoint and supervise Chairs charged with producing individual activities and events. The purpose of the Communications Director is to help oversee, and maintain consistency of communications across social media, email and web. Content is provided through the Directors and Chairs that organize our events, and filtered through the Communications Director to make sure all appropriate copy points and necessary information has been covered. The Technology Director organizes efforts to manage all of the web content + overall presence for the chapter. This person is responsible for ensuring that all technology platforms (website, Slack, etc.) are current and functional and will be leveraged across the board as necessary. The Technology Director works closely with the Communications Director and the Programming Director so that all channels of communication are being leveraged to their potential so that our members and the community are informed of the benefits we communicate through digital channels. The purpose for the Volunteer Director is to organize efforts to recruit, coordinate and thank volunteers. Volunteers are recognized each spring for their services .Programming Directors and Chairs work with the Volunteer Director in a timely manner to ensure programming is properly supported for the chapter. The Volunteer Director is also responsible for the rotation and engagement of the Board Explorer program. The Board Explorer is a pre-board position geared towards members interested in joining the AIGA Austin Board. Volunteers looking to gain experience and insight about the board can join this one-year introductory program and work alongside board members to see what board volunteerism is all about. With the ability to work on different committees, Explorers get first hand experience with different facets of board activity. Upon successful completion of the program, Board Explorers will have the opportunity to take a position on the Chapter Board.